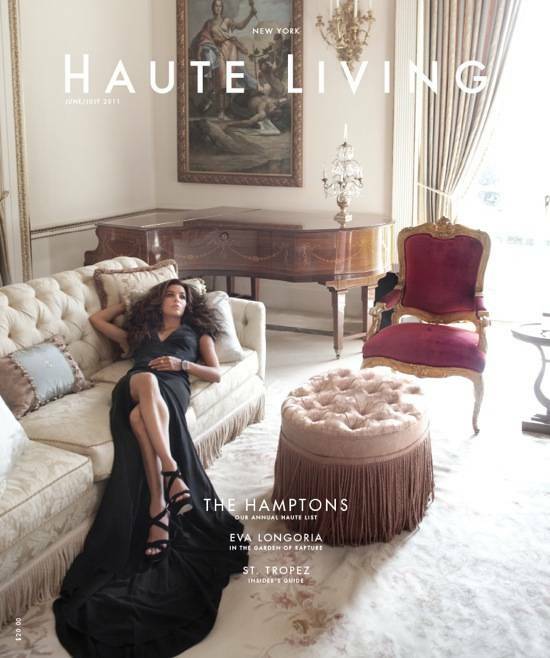 Haute Living New York June/July Issue – Now Online! Gracing the cover of our latest New York issue – now online – is the stunning Eva Longoria. The cover girl lends a characteristic glamour to this edition with a breathtaking photo feature of America’s favorite Latina in summer’s hautest fashions. Additionally, check out this issue’s exciting feature articles, including a look at Gilt Groupe’s Kevin Ryan and at Adam Gordon, the 20-year-old owner and CEO of Fort Lauderdale Collection South in Florida, one of the world’s most impressive collections of exotic cars and the ultimate destination for any luxury auto enthusiast. Also in this issue, live a day in the life of Vivre’s Eva Jeanbart-Lorenzotti while the exercise phenomenon Soul Cycle’s Stacey Griffith gives us a peek at her ascent to cycling guru status in our Women of Substance section dedicated to influential women in business and philanthropy. As summer approaches, leisure takes front and center on our agendas. From the ultimate luxury yacht to the most stylish summer fashions, we celebrate the season with all you need to revel in it. Before you hop on over to the Hamptons this summer, make sure to check out our rundown on the destination’s hautest spots to dine, shop, and party this summer. Looking to get a little farther away from the city? Jet on over the West Coast to relax at the newly re-modeled Peninsula Hotel in Beverly Hills. Want to go global? We give you in-depth information on Saint-Tropez and how to enjoy it to its fullest with our picks for the breathtaking locale’s best accommodations for the ultimate summer getaway. With the wonderful weather comes a new wave of fashions to outfit the season in style. Take an exclusive peek at Louis Vuitton’s newest location, the top ten collector’s watches from Baselworld 2011, light and undeniably summery lace and nautical attire, sparkling diamonds to catch that brilliant summer sunshine, and Cartier’s newest lust worthy pieces.